The USB-2064 is a full-speed USB device with 8-channel power relay outputs module. It offers features for industrial control and manufacturing test applications, such as factory automation or embedded machine control. 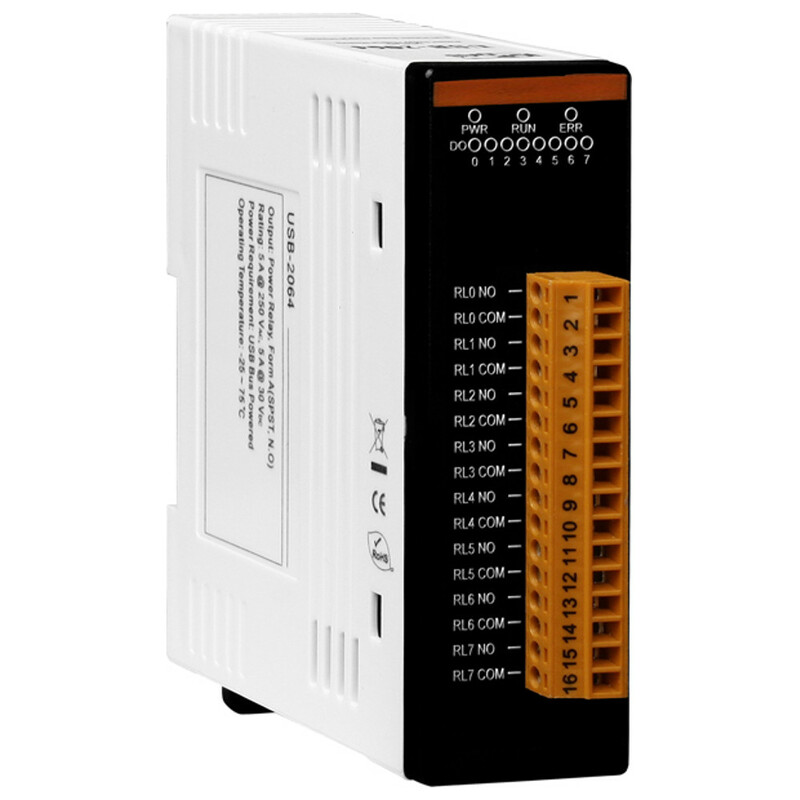 The USB-2064 provides a power rated relay with 5A maximum current contact rating for switching. "Power-on" value to customize the initial state is also another feature. The safety value can be used to secure the device's function in the field. Plug & Play capabilities eliminates the need to open up the computer chassis and allows for "hot-swapping". Shut down and restarting the system to attach or remove the USB-2064 is not needed. The USB I/O utility can help users to configure and test USB-2064 quickly and easily without programming. A user-friendly API library and demos for users are provided to develop USB application with various application development tools (VB / C++ / C#.NET / VB.NET). The USB-2064 is the perfect way to add control capabilities to any USB capable computer.